Mapletree Logistics Trust Management Ltd. announced the proposed acquisitions of five modern, ramp-up logistics properties located in Singapore for an estimated purchase price of S$778.3m. The properties are being acquired from CWT Pte. Limited and its subsidiaries on a sale-and-leaseback arrangement. The properties are modern ramp-up warehouses that are purpose-built with good logistics specifications, such as floor loading of 20 to 50 KiloNewton per square metre and floor-to-ceiling height of 9 to 14 metres. They have a weighted average age (by net lettable area) of 4.8 years and a total gross floor area of 3.2 million square feet. Located in three key logistics clusters in the western region of Singapore, they are in close proximity to the Jurong Port and PSA Terminals, and are well-served by major arterial road networks. 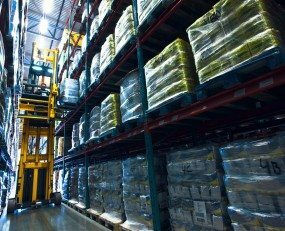 Ramp-up warehouses provide direct vehicular access to all levels and offer greater efficiency in the movement of cargo as well as lower operating and maintenance costs. Three of the properties are located in a chemical zone and can be used for chemical cargo storage, while one is located in a food zone and equipped with cold storage facilities. The supply of such specialised warehouses in Singapore is limited as licensing is required and they are only allowed to operate in approved zones. The Acquisitions are in line with the Mapletree’s strategy to rejuvenate MLT’s portfolio with the addition of modern logistics facilities via acquisitions and redevelopment. At the same time, the Acquisitions will allow the Mapletree to accelerate the pursuit of other options to rejuvenate MLT’s portfolio. These include, among others, selective divestment of older low-yielding properties with limited redevelopment potential. Post completion, the Properties will be 100% leased to the Vendor Group for lease terms ranging from 5 years to 10 years. The Acquisitions are expected to generate an initial net property income yield of approximately 6.2% based on the purchase price. Maplletree expects the Acquisitions to be accretive to MLT’s distribution per unit.